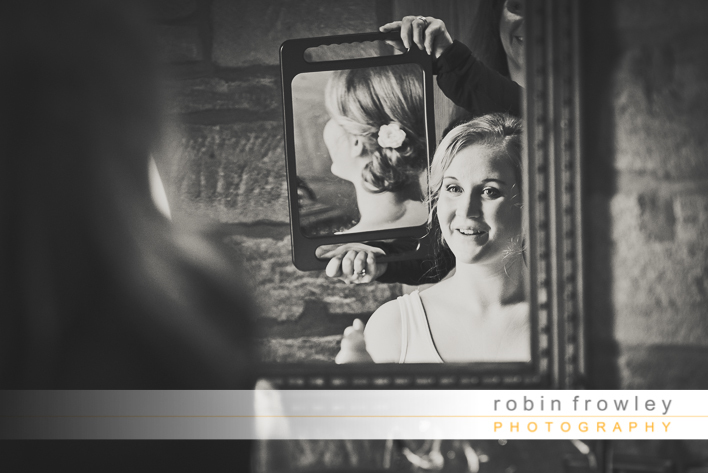 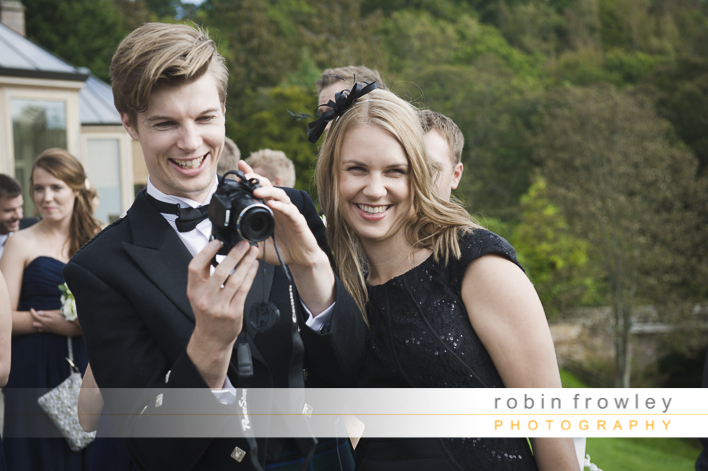 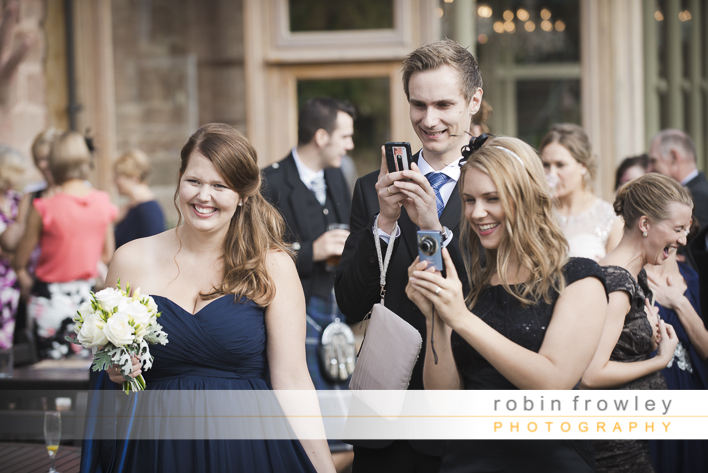 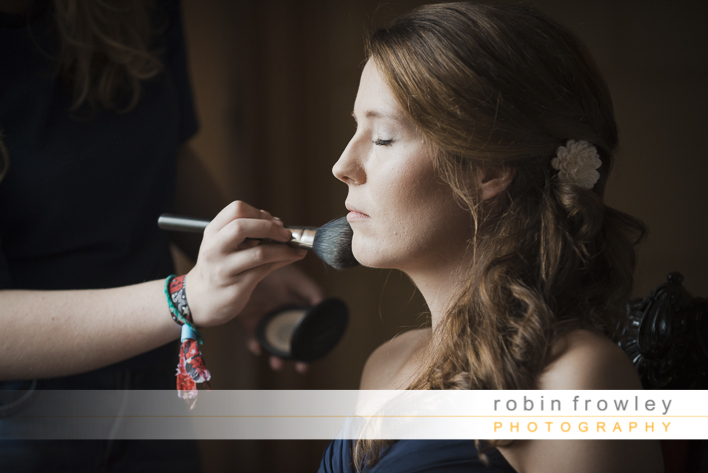 Once again I was taking wedding photographs at Dalhousie Castle, just a few miles south of Edinburgh. 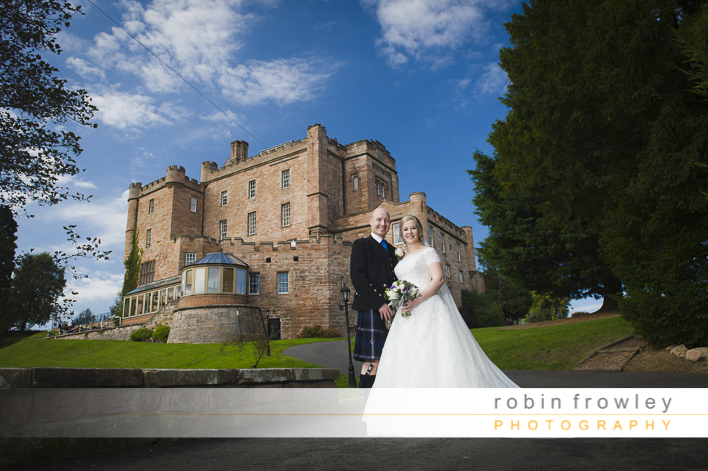 If you would like to have your wedding in a proper Scottish Castle then you should go and have a look at Dalhousie, this is a stunning venue with easy access from the city of Edinburgh. 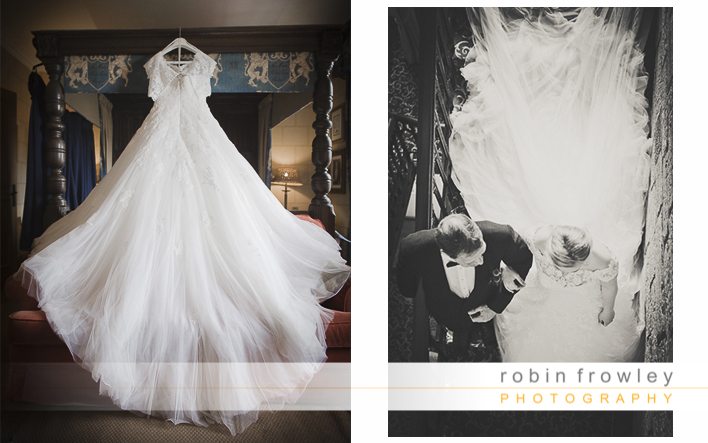 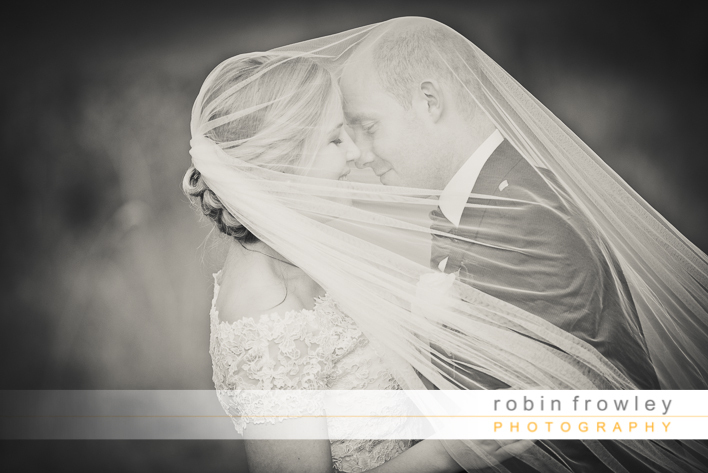 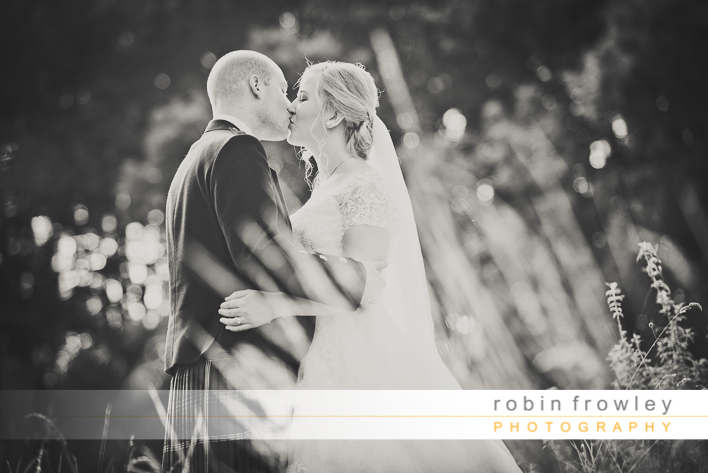 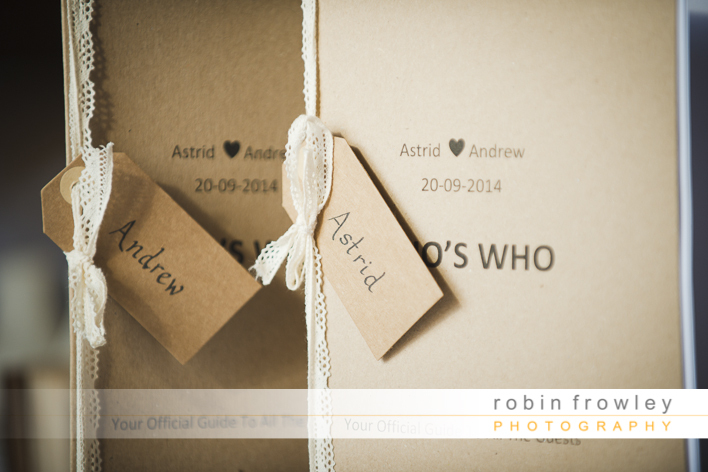 I recently photographed Astrid and Andrew’s big day there. 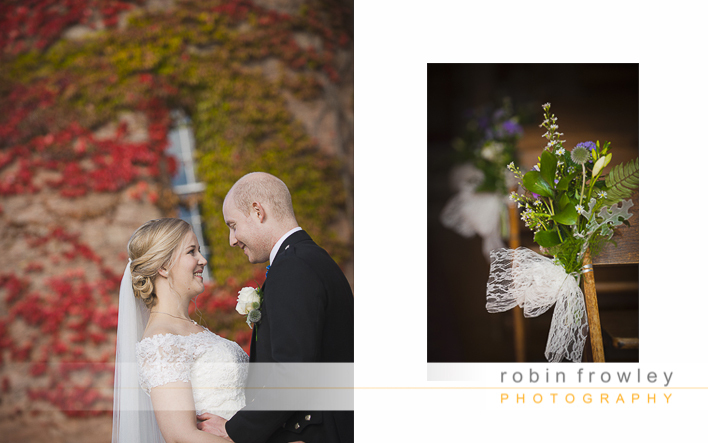 I love being outside taking photos in the Autumn time, its possibly my favourite time of year for wedding photography, the sun is a bit lower in the sky creating a really nice interesting light and the leaves start to turn beautiful colours. 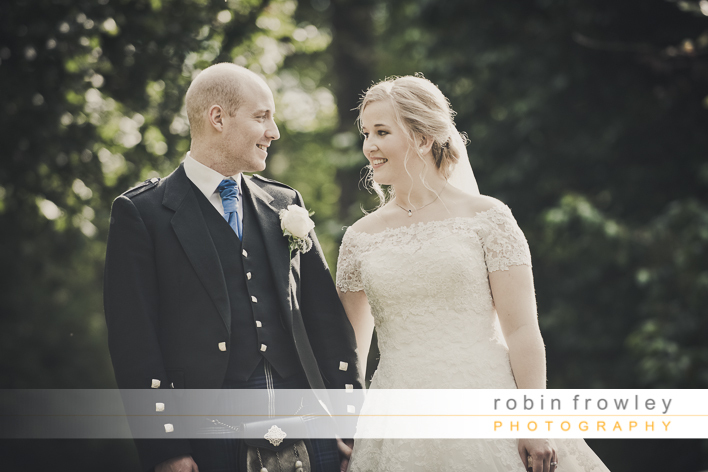 We had a great day for the wedding, the sun shone and the sky was a deep blue colour. 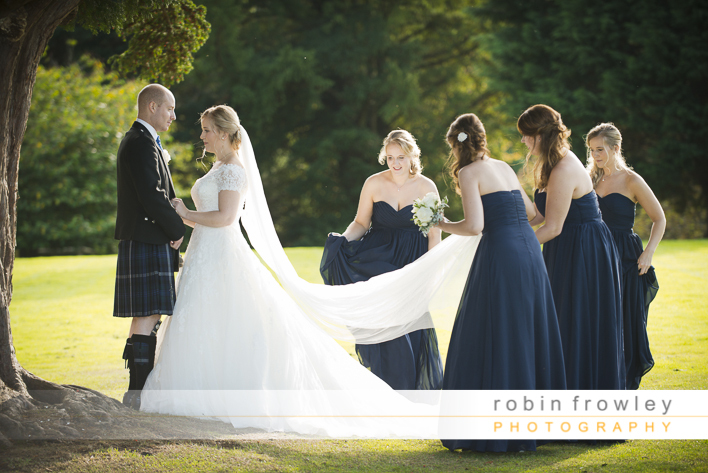 After the ceremony we took a relaxed walk around the castle grounds, with the enthusiastic bridesmaids in tow to help with arranging the dress. 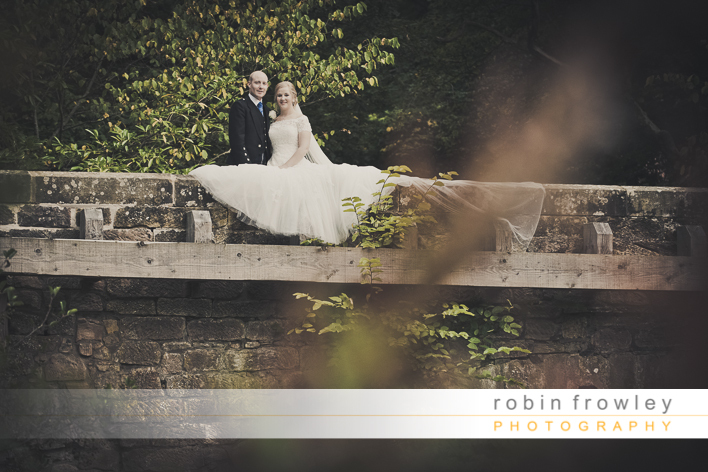 I shoot at Dalhousie many times a year and so have learnt where all the best spots are for photographs at different times of day, depending on the position of the sun. 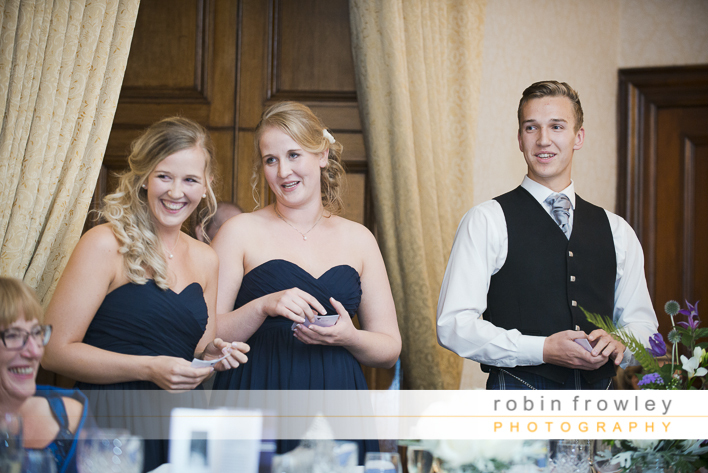 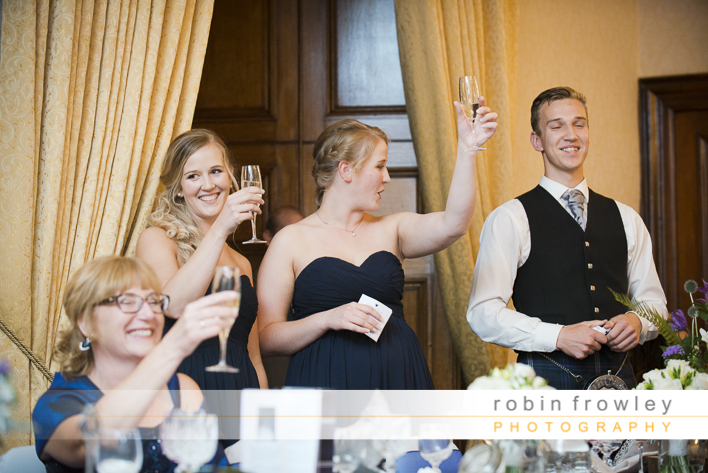 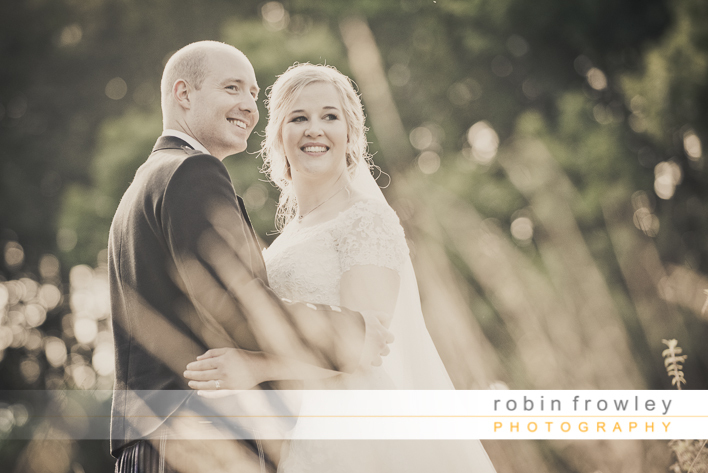 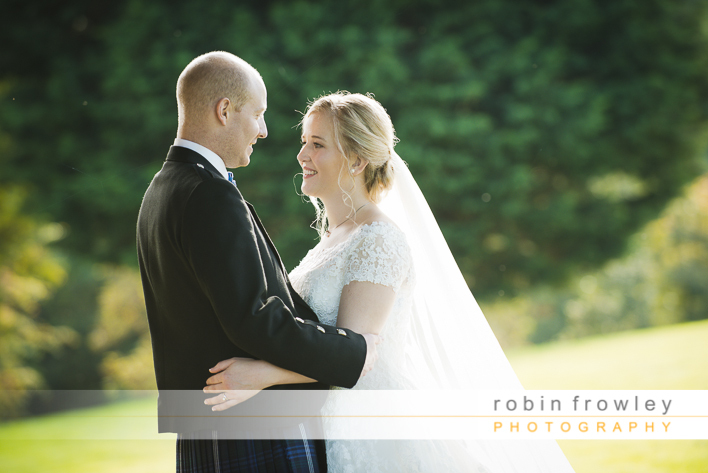 We took a nice mix of fairly straight formal wedding photos and then mixed it up with some more fun shots and some nice romantic backlit shots sing the stunning grounds of Dalhousie Castle to full effect. 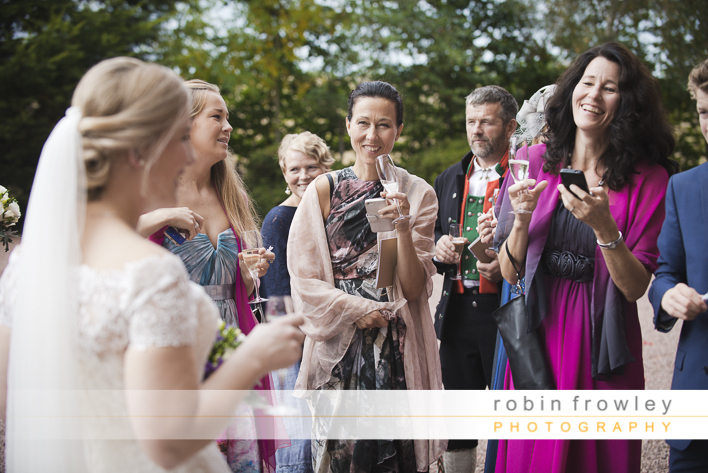 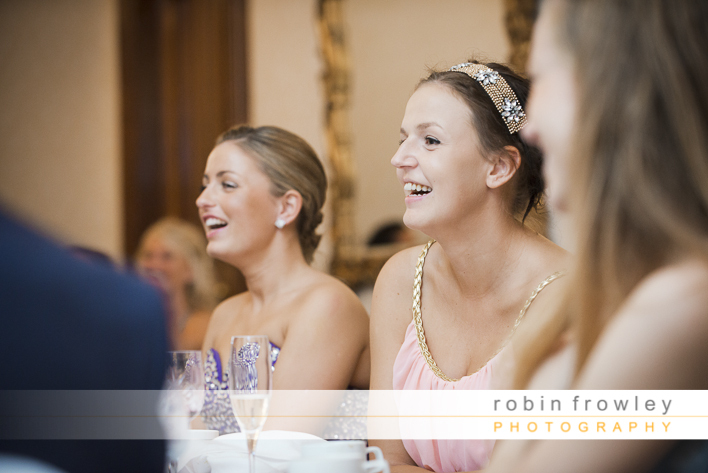 It was a great fun crowd at the wedding and I really enjoyed my part in their big day.